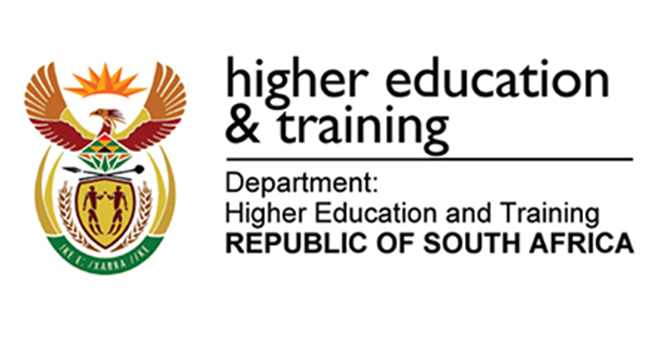 The Department of Higher Education and Training invites South African unemployed g raduates who are between the ages of 18 – 35 to apply for the 2018 / 19 Internship Programme. Assists with coordination and m onitoring of funded Project. Assist in compiling and analysing financial reports. Assist with preparations of financial reports on Departmental Development fund. Generic front office management and reception services, filing, records management and administrative functions. Assist with compliance verification / testing and monitoring. Assist with performing ad – hoc tasks relevant to compliance. Provide financial and administrative support to projects. Ordering, Travel and Accommodation, Logistics, Transit, Receiving of requisitions, selecting suppliers from CSD (Central Supplier Database). Assist with the d evelop ment of APP’s for Career Development Services and Open Learning. Assist with the processing of S&T and cell phone claims. Provide office administration support to the Directorate, including fi ling, tracking and processing of documents and correspondence. Compile and submit travel claims, cell phone claims, subsistence and travel claims. Provide administrative support to the Dire ctorate in order to ensure that the Directorate’s administrative functions are performed well. Respond to enquiries / queries through Call Centre, fax and email. Office administration ( i.e. Couriering Branding bookings for travelling’s, Procuring stationary, procuring communicatio n equipment , Procuring Branding. Assi st with the coordination of Recruitment and Selection process es i.e. capturing applications, shortlisting and interviews. Generic front office management and reception services, filing, records management and other ad – hoc administrative functions. H andling of confidential documents and Responding to enquiries. Scan files and Hyperlinking of documents. Managing the incoming and outgoing of data to stakeholders. Assist to design relevant audit procedures for planned audits. Assisting with execution of audits as per the internal audit plan , in accordance with internal audit methodology and International Standards of Internal Audit. Update the risk register, compliance report and central litigation and investment register. Assist with maintaining of accurate weekly timesheets and monitoring hours spend against available budget and provide regular reports. Assist with the m anage ment of Social Media Platforms. Regional offices and Colleges (E Cape, N Cape, W Cape, N W, Mpumalanga, Limpopo, F S, KZN & Gauteng). A ssist the CETC directorate with distribution, collection and capturing of annual and snap surveys. CONDITIONS: Applications must be submitted on a Z83 form obtainable from any Public Service Department and must be accom panied by a comprehensive CV and certifi ed copies of qualifications and Identity Document. Candidates must not have previously served as Interns in the Public Service. APPLICATIONS: Please forward your application, quoting the Reference Number to: The Director – General, Department of Higher Education and Training, Private Bag: X174, Pretoria, 0001 or hand deliver at: 123 Francis Baard Street, Pretoria at the Reception area. Correspondence will be limited to successful candidates only and applications recei ved after the closing date or faxed or emailed, will not be considered. Graduates from TVET Colleges and people with disabilities are encouraged to apply.